Employees and customers often enter sensitive information during chatbot sessions, but you can minimize chatbot security and privacy risks. 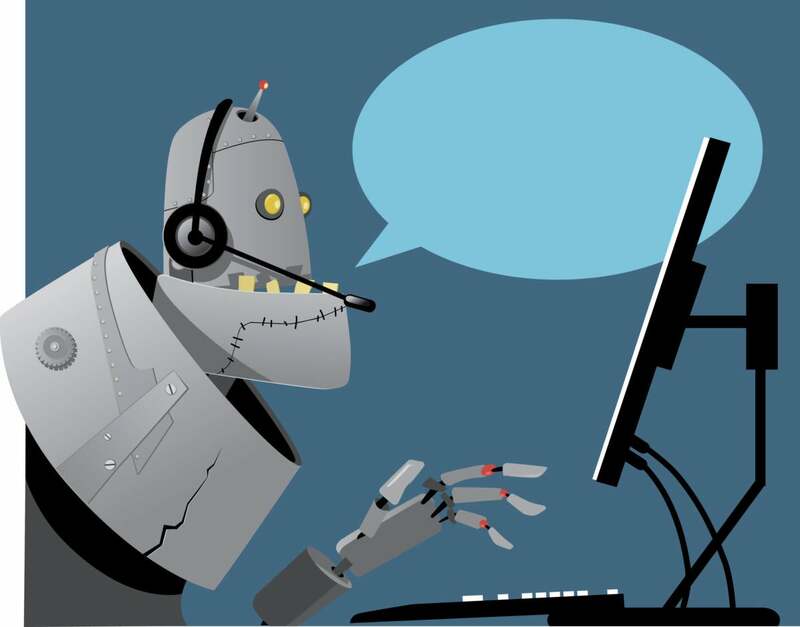 Are chatbots your next big data vulnerability? Yes, chatbots, those little add-ons to Slack and other messaging apps that answer basic HR questions, conduct company-wide polls, or get information from customers before connecting them to a person, pose a security risk. Because of the way we buy bots, Rob May, CEO of chatbot vendor Talla, says the IT industry is heading toward a data security crisis. "In the early days of SaaS [software as a service]," he explains, software "was sold as, 'Hey, marketing department, guess what? IT doesn't have to sign off, you just need a web browser,' and IT thought that was fine until one day your whole company was SaaS." Suddenly, critical operations were managed by platforms bought without any user or data management best practices in place. To head off similar data vulnerability from chatbots, May recommends streamlining bot purchasing and implementation now. Unfortunately, employees might already be using chatbots to share salary information, health insurance details, and similar data. So what steps can IT can take now to keep that data safe? How do you stop this vulnerability before it starts? What other questions should you be asking? Start by triaging the current situation, says Priya Dodwad, a developer at computer and network security provider Rapid7. Then, before you build or buy anything else, interview users. This helps in two ways: First, user responses show whether the chatbots you’re considering will be used as planned. This improves user adoption and productivity. Interviewing also helps assess threat level: You can better prepare for chatbot privacy concerns when you know the type of data you’re protecting. When Rapid7 considers a new chatbot, Dodwad says, “We start off thinking, ‘Okay, what is the information that’s going to be with it? Is it going to be PII [personally identifiable information] data or data that’s confidential or revenue related?’ Those bots concern us the most.” Rapid7 runs bots that do something non-critical—like paste gifs into Slack chat—through a less stringent process. The problem with this, though, is that sometimes people can chat about serious stuff while using a frivolous tool. Jim O’Neill, former CIO at Hubspot, says, “Learn that your humans will volunteer data.” Using a gif bot, for example, one employee might send another a funny get-well message. Next thing you know, they’re discussing the latter’s cancer diagnosis. “If you think about conversational interactions with bots, we’re naturally going to be giving up more information than we intend to,” he continues. Who else sees chatbot information? Not only does IT need to prepare for unexpected data to be entered in the system, but CSOs should ask who’ll see this information as well. When considering a new vendor, May recommends asking where the data will inevitably go. Is it stored locally or in the cloud? To whom is it routed? How does the bot get trained? One solution, May adds, would be to implement a service level agreement (SLA) addressing chatbot risks. In addition to including uptime requirements, quality expectations, and other matters you’d typically find in an SLA, make sure your agreement addresses chatbot encryption and similar security expectations: What external providers—like Turk—does the vendor work with? Will they maintain SSAE-16/SSAE-18 certification or SOC 2 compliance for the length of the contract? What happens if they don’t? If the bot asks, 'Please tell me your claim number and your claim number only,' fewer users will talk about their rash. The more intuitive, the better—not just so the chatbot can provide the solution it was bought for, but also so users won’t enter private, unnecessary data. Going back to our health insurance example, if users are providing too much data, make the chatbot easier to use. If the bot asks, “Please tell me your claim number and your claim number only,” fewer users will talk about their rash. For employee-facing chatbots, user training teaches staff what level of information is and is not appropriate to share. Employee training also lowers the risk of rogue implementation—like the kind companies saw in SaaS’s early days. If employees understand why chatbot privacy concerns are important, they’ll be more likely to run new bots by IT before installation.